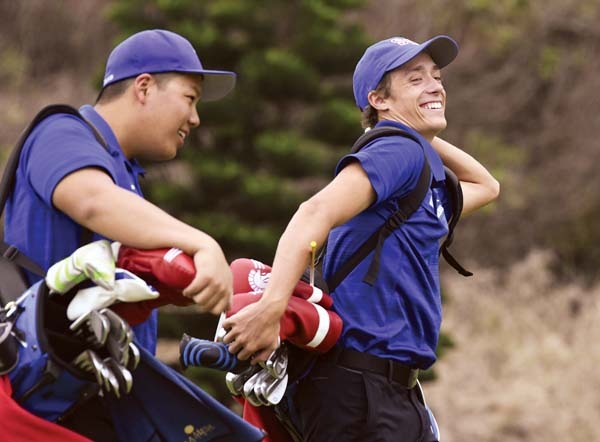 WAIEHU — Kyle Sparks was 10 years old the last time Seabury Hall won the Maui Interscholastic League boys team title. 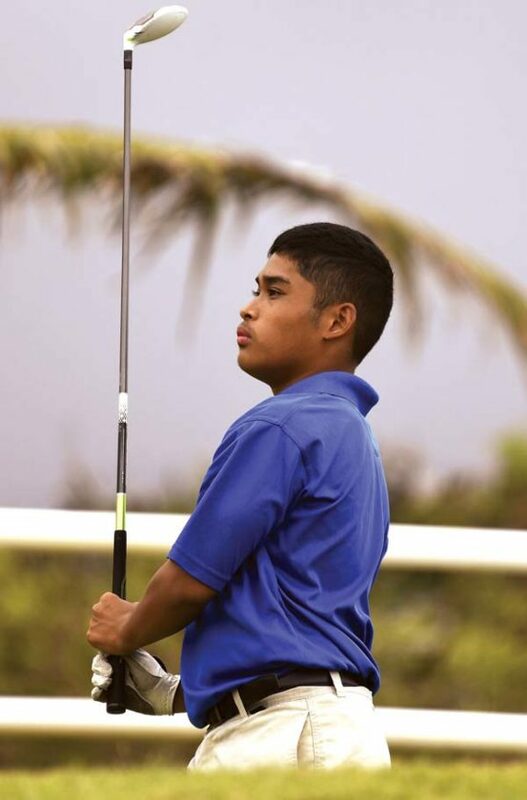 While that 4th-grader at Waihee Elementary School had no idea he would end up a Spartan, the Seabury Hall senior now knows he will be part of the David S. Ishii Foundation State Championship at Turtle Bay, May 10-11. Sparks was joined in the scoring column by Ryan Chang’s 39, Pierce Dowd’s 40 and Hudson Jackson’s 44. The Spartans’ dropped score was Max Flammer’s 47. The state tournament will offer another chance to show off the depth that the Spartans own. Seabury Hall teammates Hudson Jackson and Ryan Chang set off from the sixth tee Wednesday. “Hopefully, if we work hard enough, anything can happen if we play our best,” Sparks said. Sparks and Chang are seniors, Jackson and Flammer are sophomores, and Dowd is a freshman for the Spartans, who improved to 9-0 with one match to play. As MIL team champions, the Spartans now own five of the 14 spots that the league receives to the state tournament. 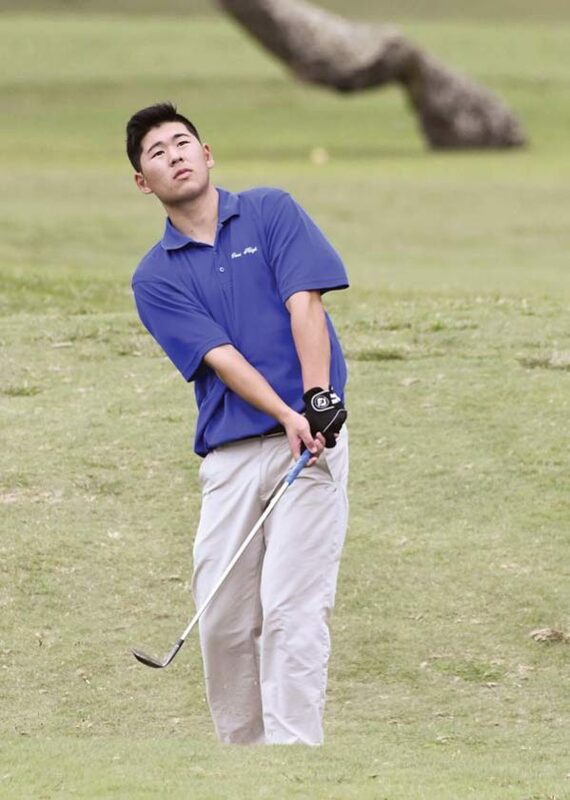 The other nine spots will go to the top players who aren’t on the Seabury Hall team roster in the 72-hole MIL individual championship that begins March 31 at Waiehu. Maui High’s Asher Aspili tees off on the fifth hole. The Sabers fell to 6-3 — their first two losses were each by a single stroke, to Kamehameha Maui and Maui Prep. 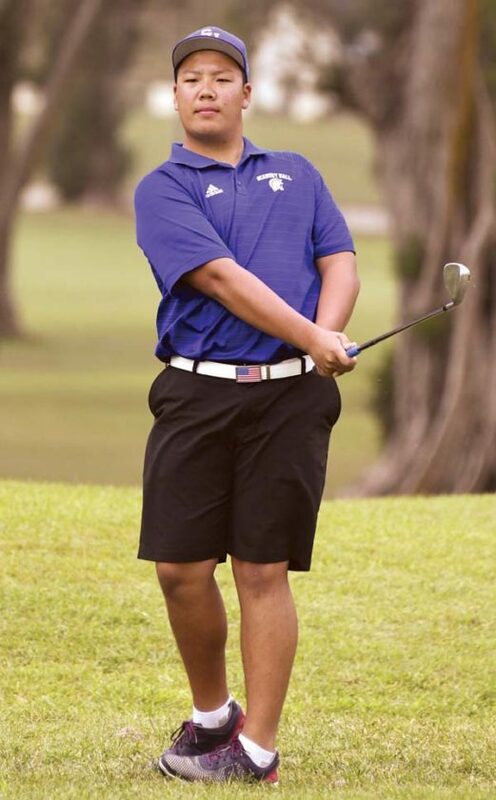 Maui High was led by Jordan Terada, who shot even-par 36. Asher Aspili shot 41, Noah Manual shot 47 and Kaleb Makimoto had a 50. The Sabers were without Marlon Bottorf, who is on a family vacation. “We were with four players only today, but still, Seabury played very well,” Maui High coach Lee Sakugawa said. The Sabers’ Jordan Terada chips to the sixth green.